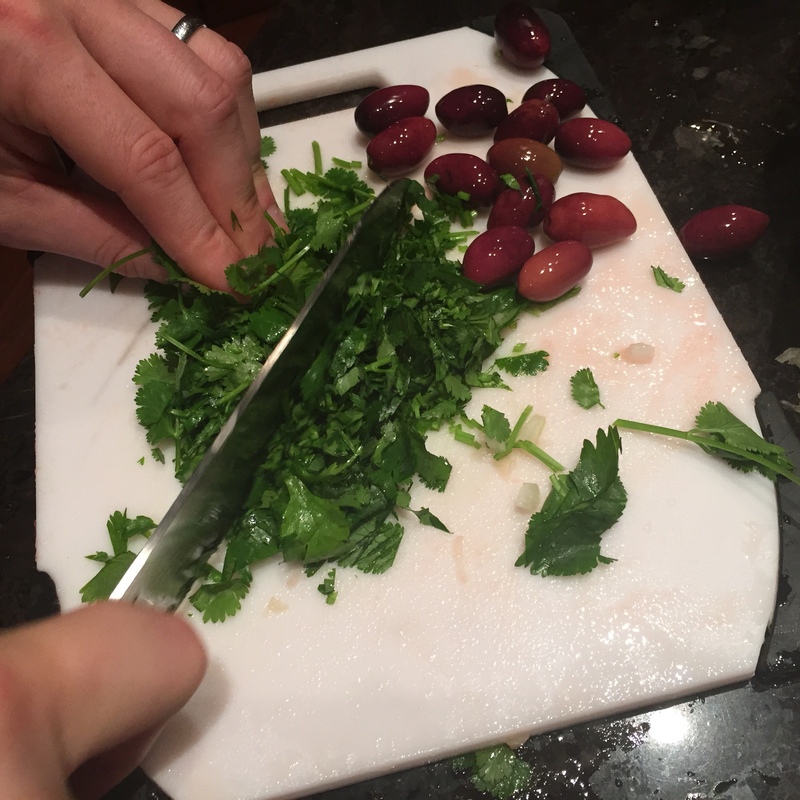 Tonight we made a tomato and cilantro salsa as a cold dressing for baked halibut. 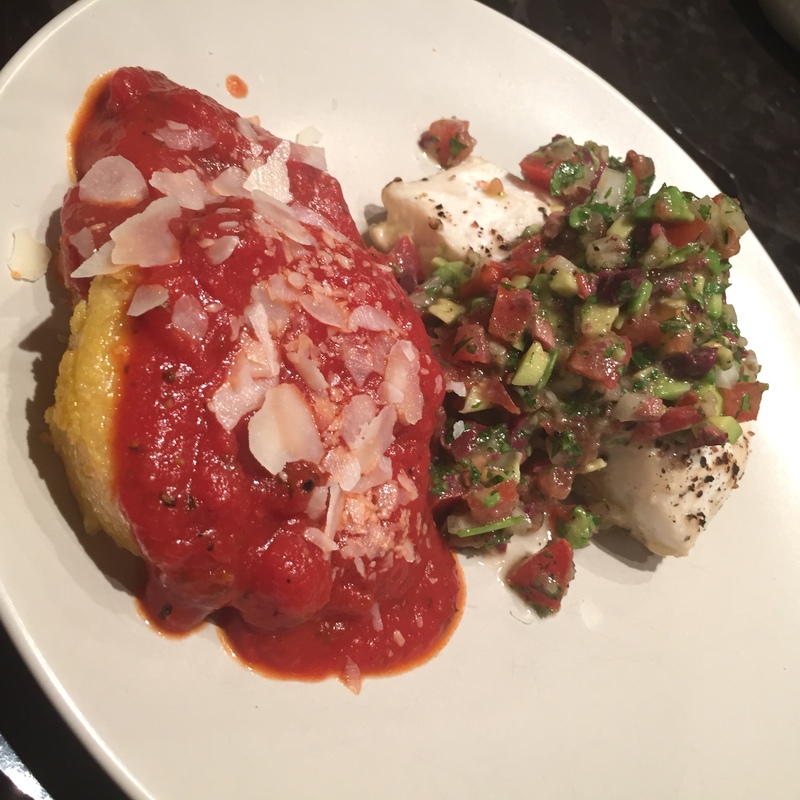 Below are directions for the fish dish and the polenta side dish. 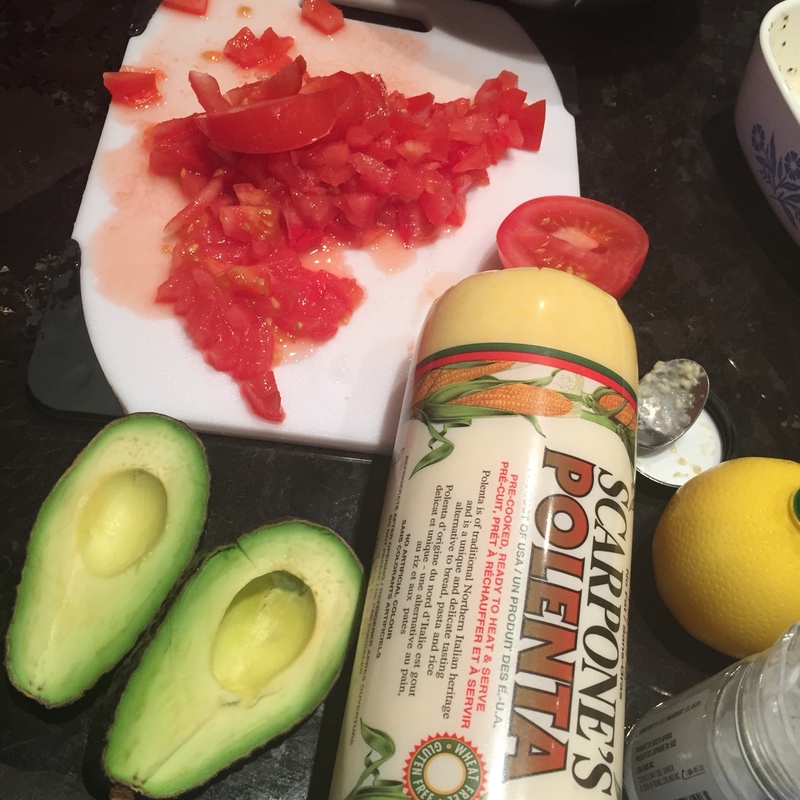 It was a quick, relatively easy meal that didn’t involve any extravagant ingredients or techniques. Put 1/4 of the onion in a baking dish to be used shortly. Add the chopped ingredients to mixing bowl of first four ingredients. 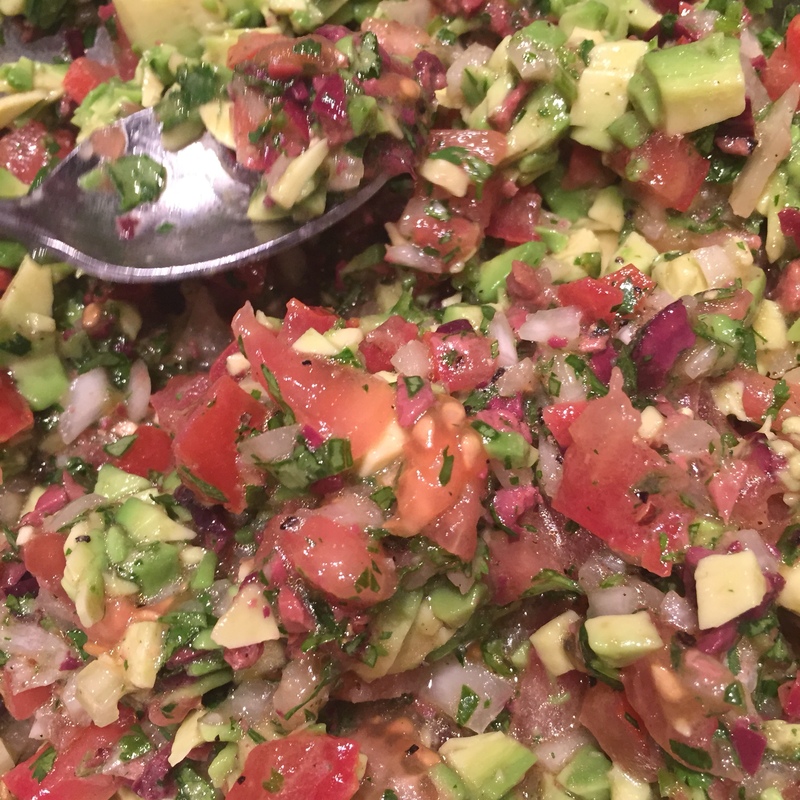 Mix the salsa gently and place aside in the fridge. 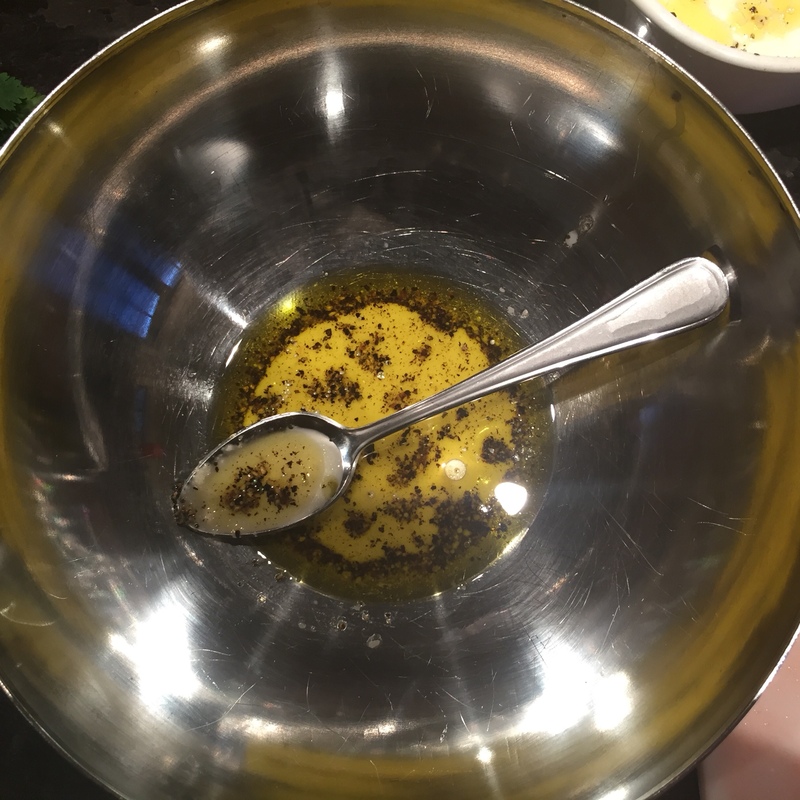 Fetch the onion in the baking dish and add 1 tbsp cooking oil of your choice. 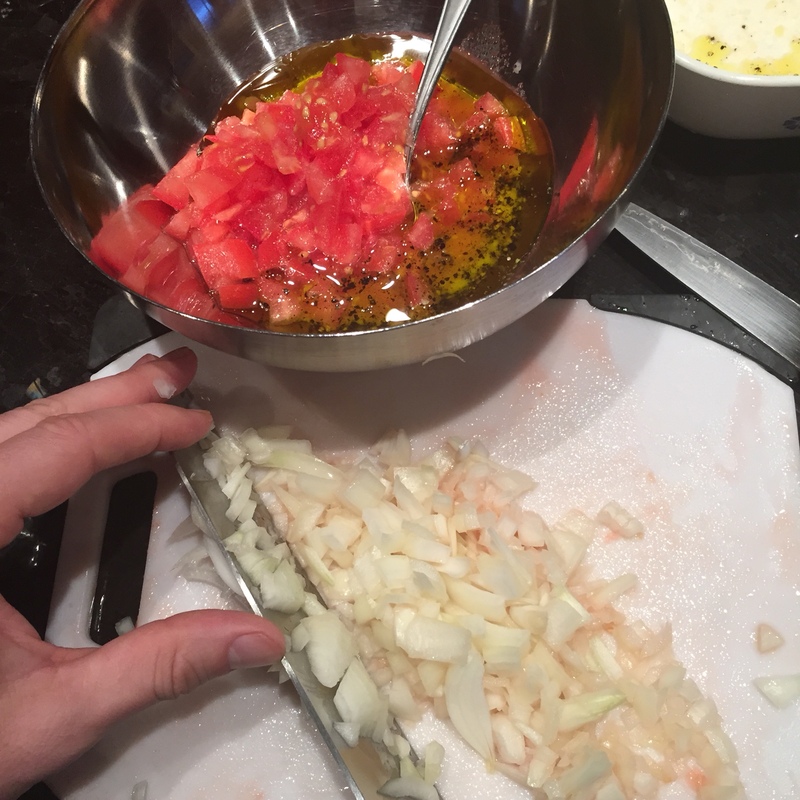 Place in 2 halibut fillets facing skin down atop the onion and oil. Liberally cover with lime juice and pepper. 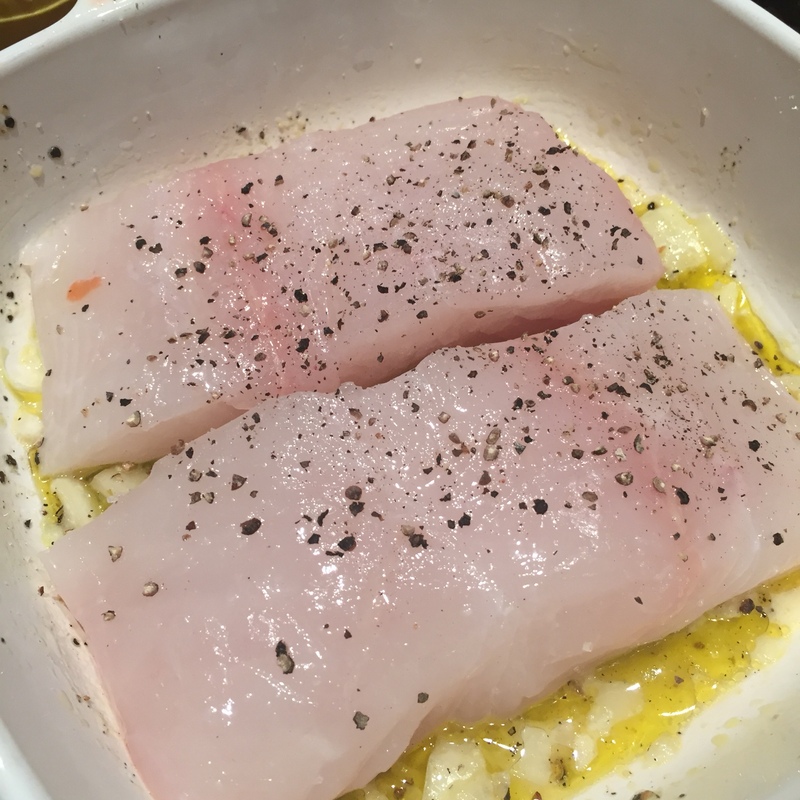 Make a tinfoil tent atop your halibut in the baking dish. Bake for 15-20 minutes at 400F or until cooked. Slice a polenta log in 1/4-1/2 inch slices. 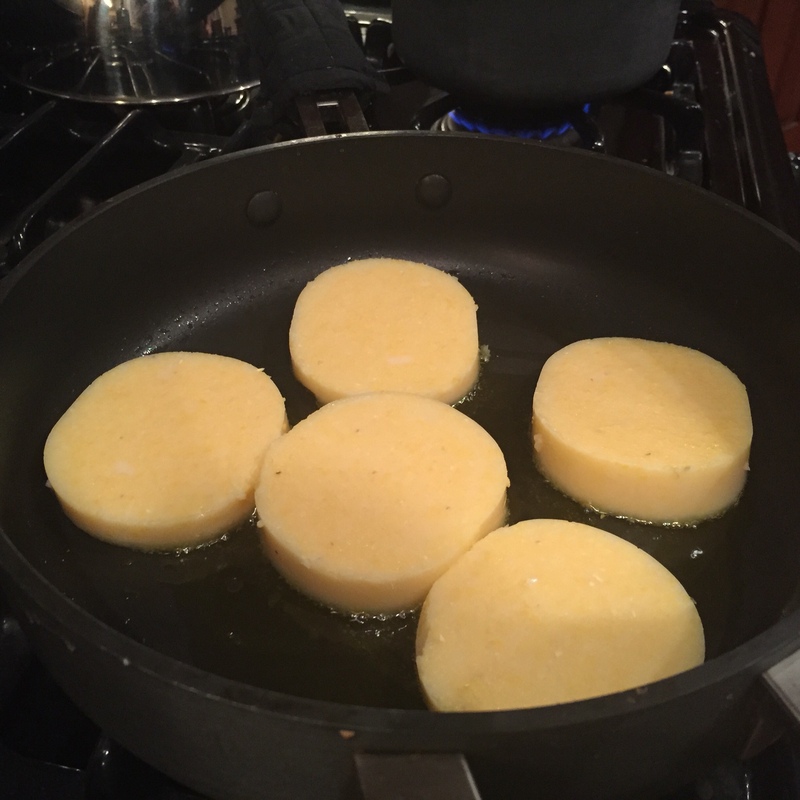 Fry slices on medium heat in cooking oil for 4-8 minutes until golden, flipping once. Plate the baked halibut with or without the skin. 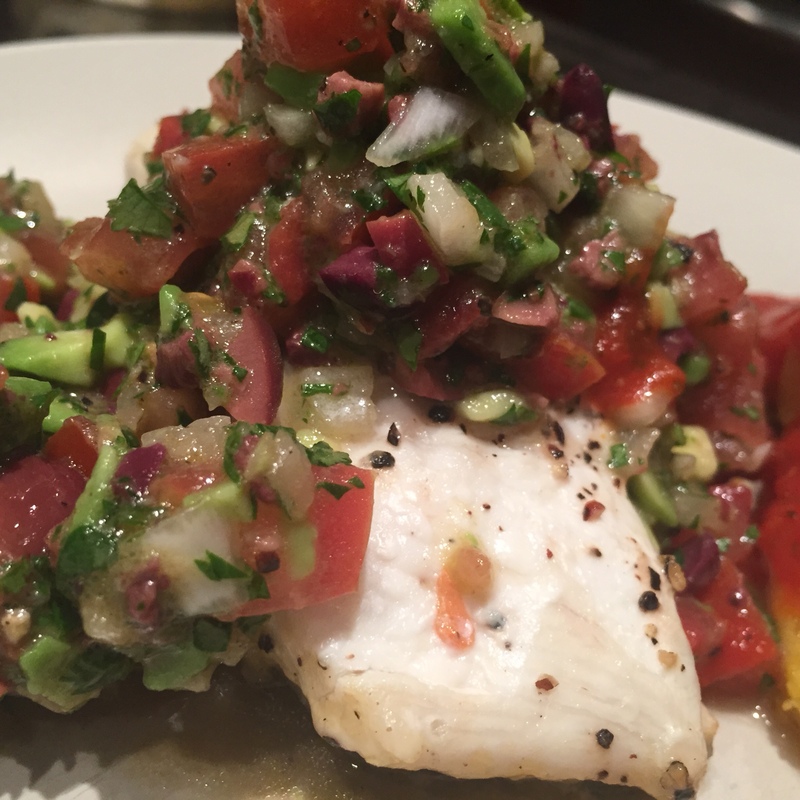 Use the fresh salsa in the fridge to top the halibut. 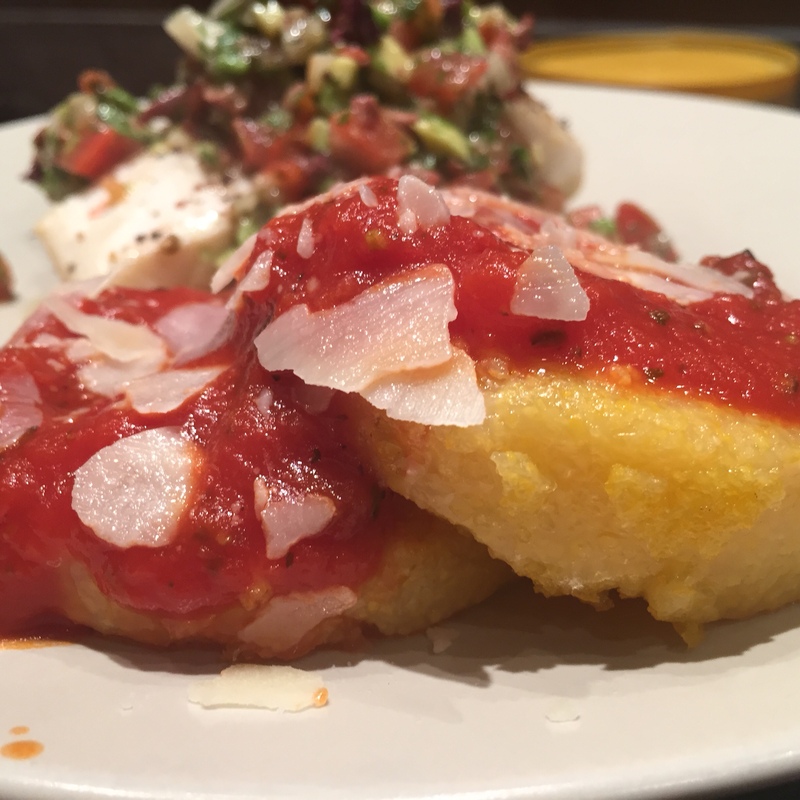 Serve the polenta smothered in hot tomato sauce and topped with Parmesan cheese. Let me know what if you like it!